Surgeons have seriously criticised two brain surgery operations where the patients went on to die. Hussien El-Maghraby, a consultant neurosurgeon in Coventry, removed a healthy part of a brain instead of a tumour during one operation. The 51-year-old was stopped in September from performing two different surgical procedures, following a Royal College of Surgeons (RCS) inspection. Mr El-Maghraby said the General Medical Council (GMC) had examined five of his operations and ruled no further action was needed. An expert who saw a video of the neurosurgeon's work on one of the patients told a BBC Inside Out investigation he was "appalled" and described it as "rough surgery". 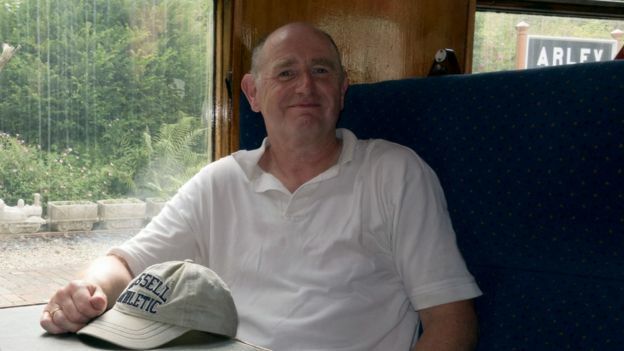 Stephen Bridgman, from Redditch, Worcestershire, died after Mr El-Maghraby operated on his benign brain tumour in 2016. The repercussions of the surgery left Mr Bridgman in a vegetative state, as his brain had been irreparably damaged following heavy bleeding. His widow Mandy Bridgman requested her husband's medical notes and found a short video was included showing parts of the surgery. Chris Adams, who was head of neurological surgery at the former Radcliffe Infirmary in Oxford, said: "This is very, very rough surgery. In fact I'm appalled by it frankly. "I have never seen this sort of tumour removed in this way - [it has] just been pulled out in one piece. "It's just completely contrary to how one does neurosurgery." "There's no words for it. He did not need to die," Mrs Bridgman said. Two other independent neurosurgeons spoken to by BBC Inside Out also expressed concerns over Mr Bridgman's surgery. Mr El-Maghraby, who is employed by University Hospitals Coventry & Warwickshire NHS Trust, said the video had only covered 20 minutes of the operation that had lasted three hours. The hospital trust asked for the video to be looked at by its own independent expert, who noted the tumour was removed "very quickly" but said it had been detached from the skull in "a reasonable manner". Four years earlier, a colleague of Mr El-Maghraby, Munchi Choksey, had raised concerns about some spinal procedures and two operations where Mr El Maghraby had removed brain tissue instead of tumour. 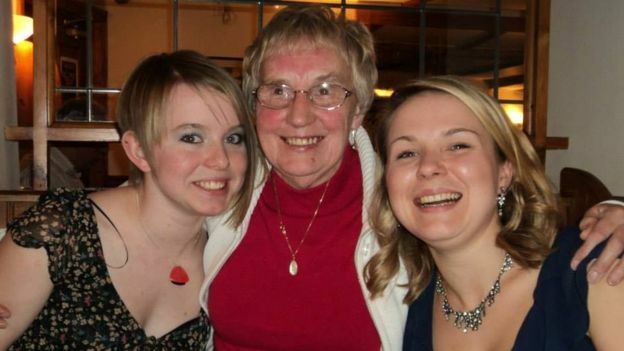 Pathology reports show a large healthy chunk of Doreen Dunn's brain was taken out instead of a benign brain tumour. A few days later Mrs Dunn, from Coventry, died. Mr Choksey viewed the scans and said: "It is a colossal error for any neurosurgeon to make." Mrs Dunn's family were not aware of details of the operation until the BBC contacted her daughter Cathy. "You go to these places and you trust that the people know what they are doing," she said. "They are the experts. So to find that something like that was not done properly... it's a shock." Mr El-Maghraby, who says he has performed more than 3,000 operations, told the BBC Mrs Dunn's case was one of the five examined by the GMC. He made a formal allegation of bullying against Mr Choksey. In September, the RCS was asked to review four cases, including Mr Bridgman's. The trust told the BBC Mr El-Maghraby should refrain from carrying out two specific surgical procedures pending further training and mentorship. The two procedures stopped in October were complex spinal operations and brain surgery while the patient is awake. The review identified no issues with routine brain cancer surgery. Mrs Bridgman said Mr El-Maghraby "shouldn't be operating". "I'm just so angry now that it seems like a lot of people have known about this and they've still let him carry on."